Television came into being based on the inventions and discoveries of many men and scientists. 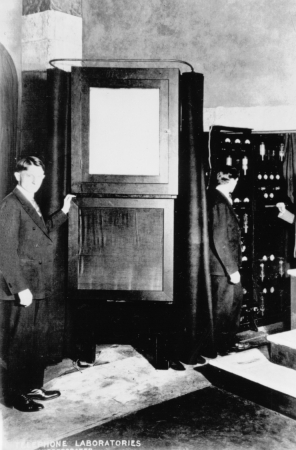 The 'first' generation of television sets were not entirely electronic. The display (TV screen) had a small motor with a spinning disc and a neon lamp, which worked together to give a blurry reddish-orange picture about half the size of a business card! The period before 1935 is called the "Mechanical Television Era". This type of television is not compatible with today's fully-electronic television system. 1926 Baird "Falkirk" Television Transmitter. More photos! 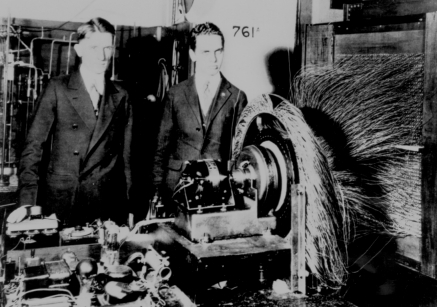 On January 23, 1926, John Logie Baird (of Scotland) gave the world's first public demonstration of a mechanical television apparatus to approximately 40 members of the Royal Institution at his laboratory on Frith Street. These were images of living human faces, not outlines or silhouettes, with complete tonal gradations of light and shade. 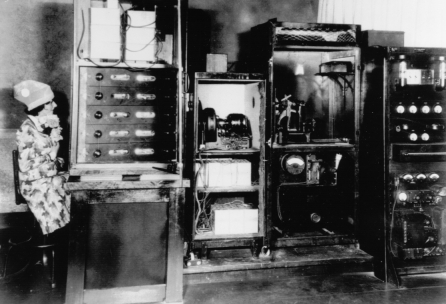 Bell Telephone Labs and AT&T give a USA public mechanical television demonstration over both wire and radio circuits. The demonstration was directed by Dr. Herbert Ives and Dr. Frank Gray. Pictures and sound were sent by wire from Washington D.C., to New York City. A wireless demonstration also occurred 22 miles away, from Whippany, New Jersey, to New York City. The main part of the demonstration was a speech by Herbert Hoover, then secretary of commerce, which originated in Washington D.C. The 50-line pictures, transmitted at 18 frames per second, were received on a 2" x 3" screen. It was claimed that there was no difference in quality between the pictures sent by either wire or radio. Read more about this event on the AT&T website "The First US Demonstration of TV"
The Troy Record - Front page New York newspaper article about the demonstration - A more detailed report. GE's Alexanderson and RCA's Sarnoff Present the GE Mechanical System to the Press. 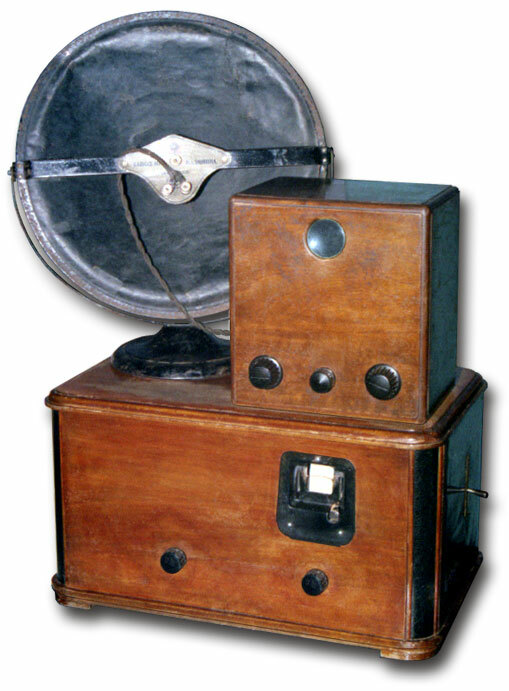 GE System is Hailed (incorrectly) as the "World's First Television"
Popular Mechanics article about the 1928 Alexanderson mechanical television demonstration. 1928 GE "Octagon" Mechanical Television - 4" Screen. Reportedly, only 4 of these were built. 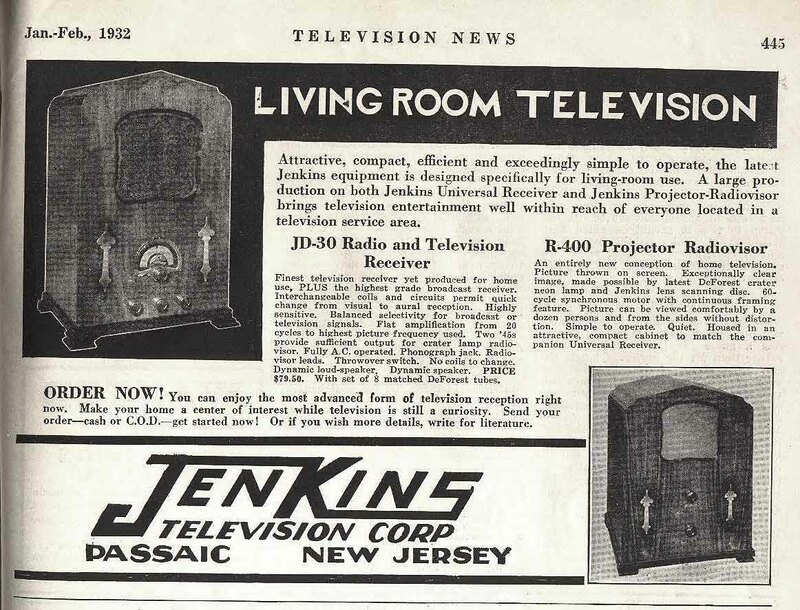 1932 Jenkins Radio and Television Receiver, Model JD-30, serial number 252, with advertising. This unit provided only the sound and the electrical signal to drive a separate R-400 display unit (see the lower RH corner of the ad). 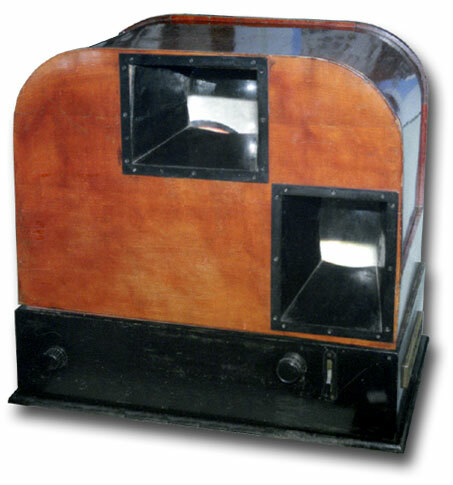 The R-400 display unit housed a motor-driven pinhole scanning disk and neon lamp. Jenkins TV receiver in use at home. Here is an another example of a 1932 American mechanical television set. 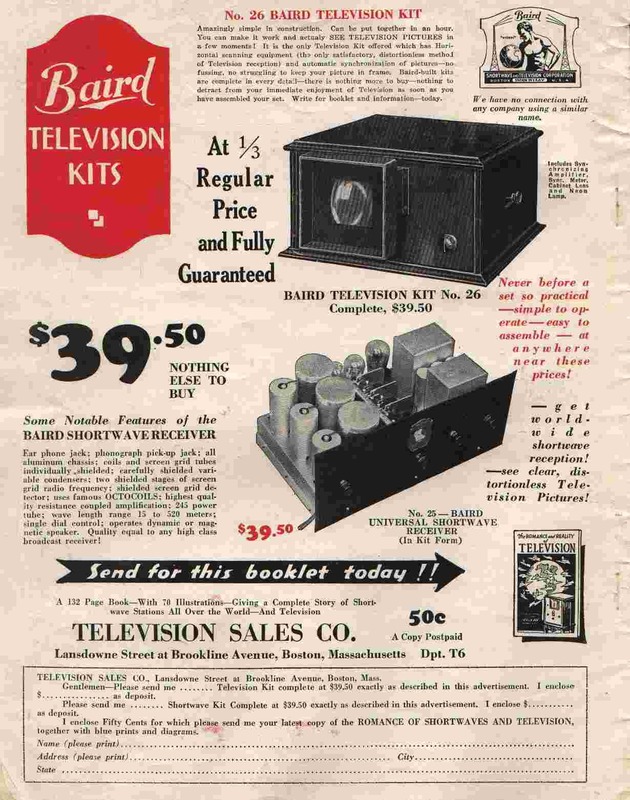 Similar to the Jenkins' unit above, you had to buy two pieces of hardware, the radio & TV receiver for sound (lower item in ad), and the display unit (upper item in ad). The Romance and Reality of Television (132 page) booklet was offered for 50 cents in the ad above. Shown immediately above is the 1931 version of "The Romance of Shortwaves and Television", which has a rare photograph of Mr. Hollis Semple Baird. These images are courtesy of Prof. Michael Morgan, whose grandfather (shown in the center photo) was Mr. A. M. "Vic" Morgan -- President and General Manager of Shortwave and Television. Professor Michael Morgan is currently on the faculty at the University of Massachusetts.